A few years ago I was having a conversation with Brendan about photographers and photography and in the course of our discussion he sent me a link to a blog post that included a short documentary about Martin Parr. I was enjoying the documentary very much – it was him talking about his projects in his own words. But then he said the following words and I literally sat there with my jaw hanging open. I was completely stunned. Did I just hear that correctly? I had to rewind the video to make sure. 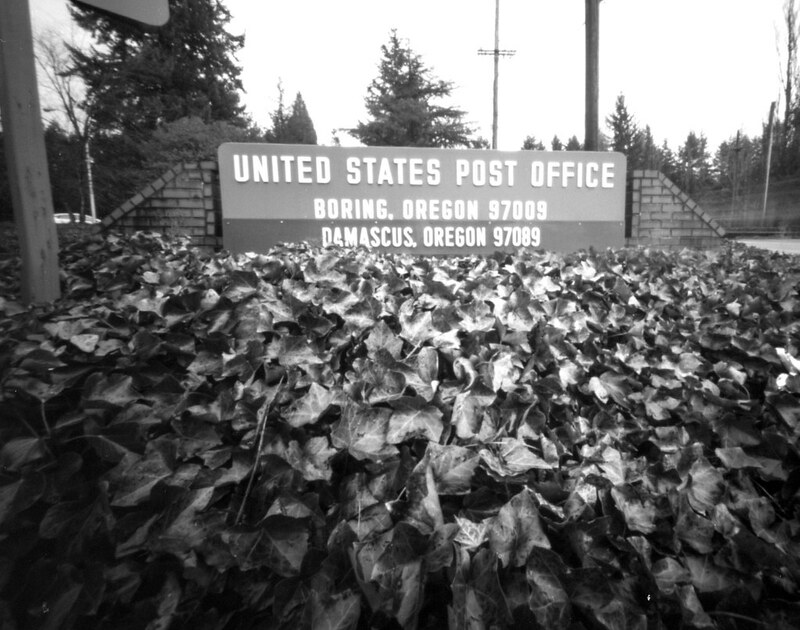 Indeed, he said, “I made a pilgrimage to Boring, Oregon.” He was in a phase of his photography where he was interested in the idea of “Boring.” As he studied the idea he discovered that there was a town called Boring in Oregon, USA, just outside of Portland. I practically live in Boring. I did some Googling and sure enough! There were his photos of little old Boring! He visited us in 2000 and took photos for his “USA. 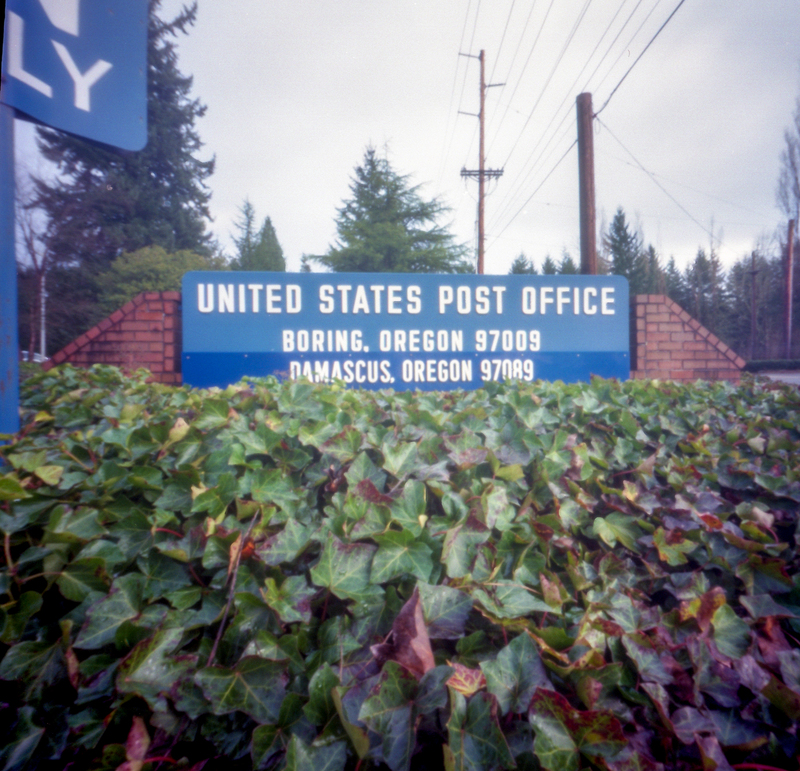 Boring Oregon.” project, which you can see here. I asked around locally and not a single person knows that he was here. Not a single local person knows the significance of this. Some locals I told about this were actually a little irritated by an outsider making a joke of it. But mostly when I geek out about it their eyes just glaze over. 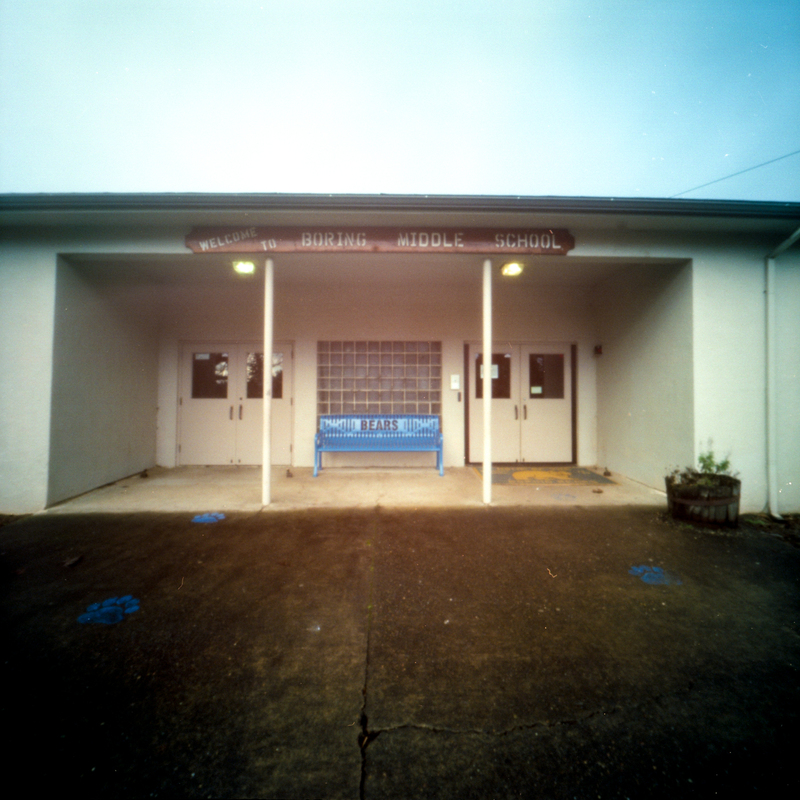 I thought it would be fun to take some pinhole shots of a couple of the places he visited. Zero 2000 + Ektar 100 @ 18 seconds. The one above is not one that he took. 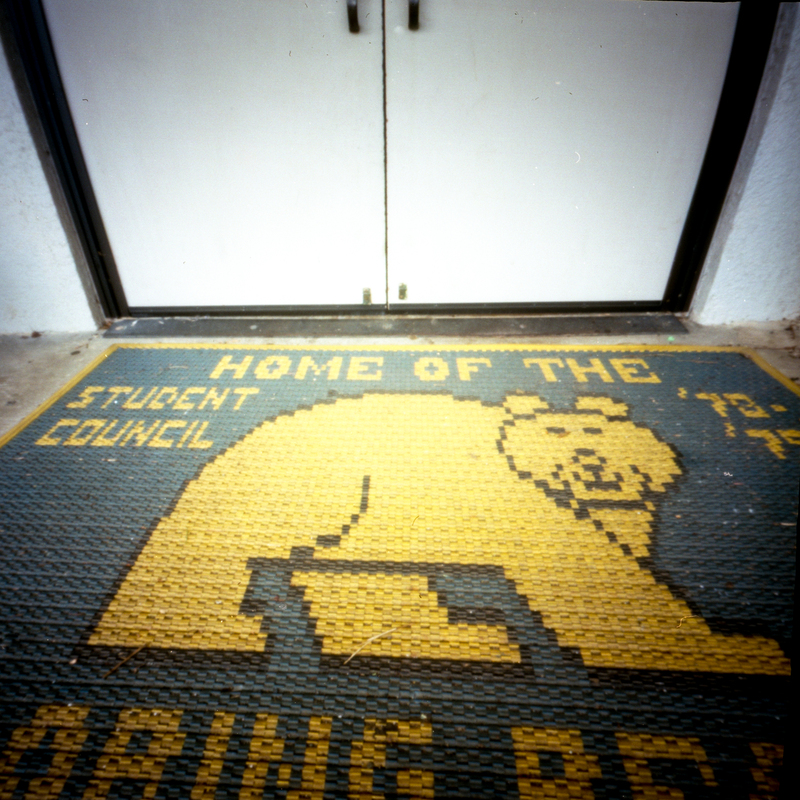 I was just amused by the Middle School’s door mat. Boring Oregon makes me want to visit Dull, Scotland – great idea for a post. good idea. I’ll be in Scotland next year so I’ll have to look for Dull. Thanks Moni. I will check out the links. I love Martin Parr’s work. In 2011, when I was in Bristol England, I went to his exhibit at the new M-Shed Museum and fell in love with his work. I have several of his books, but had no idea he went to Boring. I find it very fascinating that he ninja visited the area!